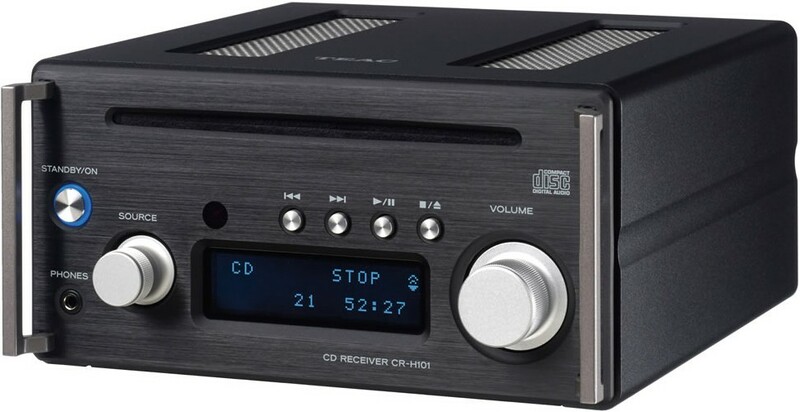 This special model packs the same high-quality technologies used in TEAC's mini hi-fi range into a single model featuring CD, DAB+, onboard DAC and Bluetooth connectivity. Just add speakers. 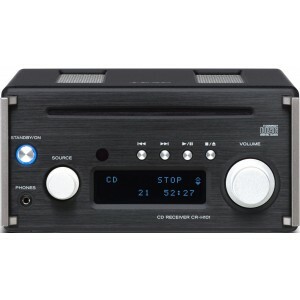 Teac CR-H101-DAB is a new generation CD/DAB+ Stereo Receiver made for the Hi-Res Era, fusing CD receiver components with TEAC desktop audio technologies that have advanced over years. 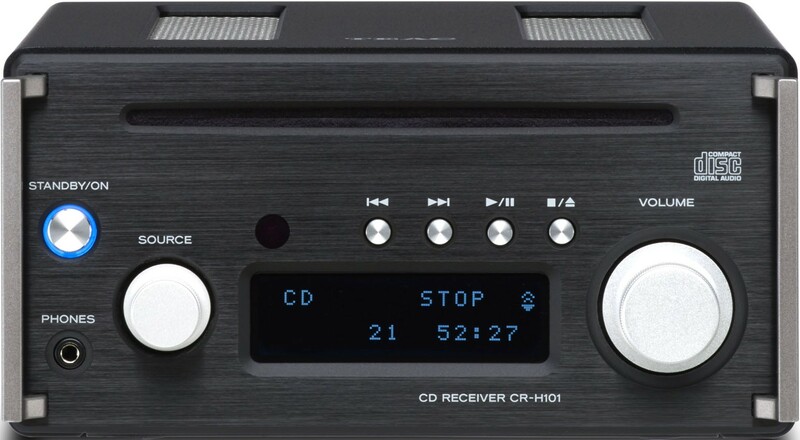 The receiver has a USB DAC function that supports Hi-Res Audio playback and can handle a variety of sources, including CDs, Bluetooth and DAB/FM radio. The DAC, which is a core component for digital audio equipment, uses a Burr Brown PCM1795 that boasts a high dynamic range with low distortion and has a record of use in high-end digital-analog converters. This enables playback from various sources without compromising the passion the artists put into their music. The body of the unit is crafted elegantly with cut aluminium panels, which are about 3mm thick on the top and sides and 5mm thick on the front. This increases both strength and resistance to external noise. The cabinet, which is about 20cm square and small enough to be held on the palms of two hands, has a cooling grille and sidebars like a high-end power amplifier. The volume and source selection knobs on the front are also made with cut aluminium, which creates the sense of coolness and precision unique to thick metal. Connection options include Bluetooth, USB, DAB and Digital inputs which also cater to anyone wanting to create a 2.1 system. USB input maximises data streaming to 192kHz/24-bit while CD Playback becomes crystal clear and Bluetooth Audio delivers a class-leading level of musical playback thanks to the same remarkable DAC used in its larger brothers. Connecting a turntable is also possible via single RCA input although a phono stage is required. 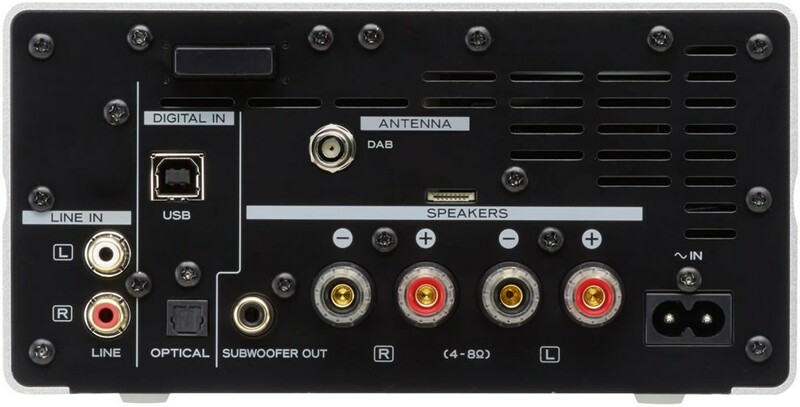 The optical connection works with TVs that output PCM or Stereo giving more versatility. For radio lovers, there is also a DAB/ FM Tuner with RDS. Compact, high-efficiency Class-D amplifier, the Class-D TPA3118 amplifier made by Texas Instruments enables both the compact size and the power to playback high-resolution audio sources without data loss. While compact, we have realised a high 26W+26W output and clear audio quality. Slot-in slim drive and Built-in FM tuner A slot-in slim drive is used to help realise the compact format. 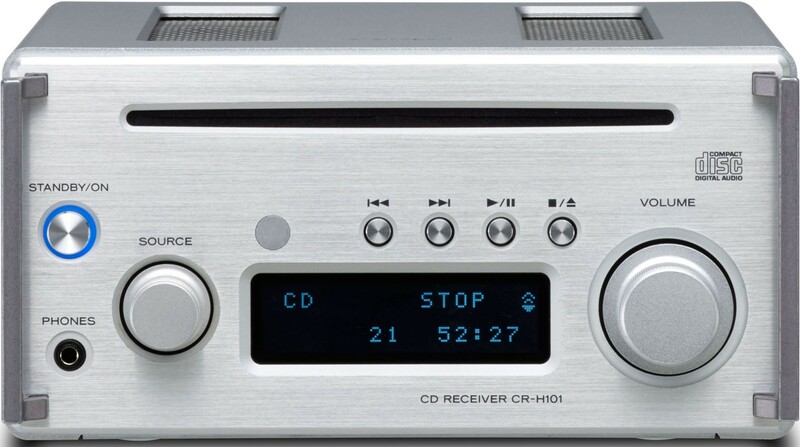 CD playback (including MP3 and WMA files on CD-R/RW discs) and automatic playback are supported. PLL Synthesized FM tuner supports 20 station presets for quick access to your favourite station. TEAC incorporated a high-performance PCM1795 D/A Burr Brown converter chip made by Texas Instruments. This chip has previously been used in our high-end UD-501 and UD-301. Boasting a high S/N ratio and an excellent distortion rate allows it to faithfully process high-resolution audio sources, which have data quantities that greatly exceed those of CDs, and bring out the wonderful nuances of the music. Separate dedicated crystal oscillators are used for 44.1kHz and 48kHz multiples of the clock, which is crucial to jitter reduction. When playing back high-resolution audio sources, the original sound is reproduced faithfully by suppressing the impact of jitter using this high-precision built-in clock. The remote control Clock button can be pressed to show the current time. In addition, the timer function can be used to turn the CD player or FM tuner ON/OFF at set times.